Snow, ice and cold blanket Minnesota now, but last June through October the woodlands bustled with life. 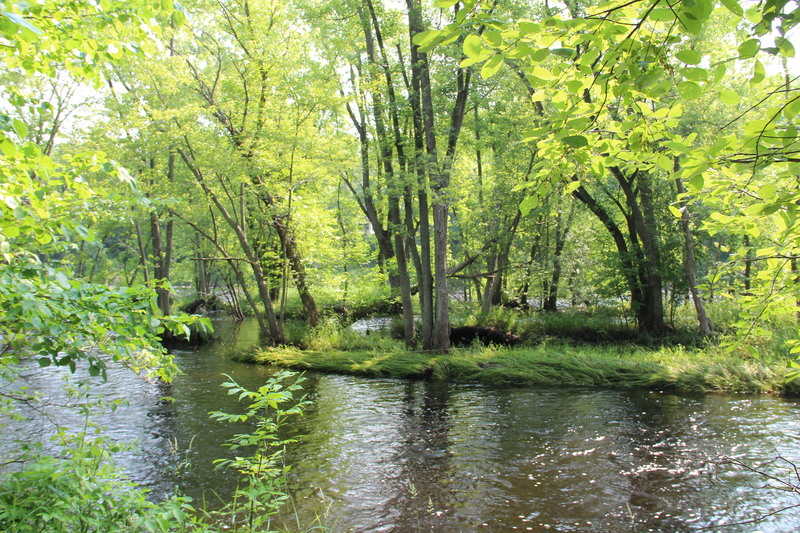 From unfurling ferns, to hummingbirds and harebells, to the changing Snake River and autumn woods in Pine County, MN, here are a few of nature’s simple gifts in 2013 that I recall with gratitude — and look forward to seeing again in 2014. Happy New Year! 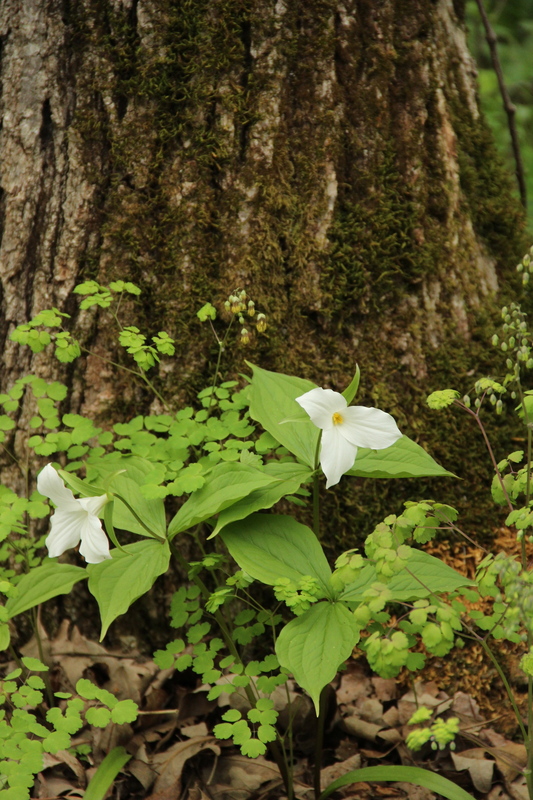 Large-flowered trillium (Trillium grandiflorum) and early meadow rue (Thalictrum dioicum) bloom at the base of a burr oak. 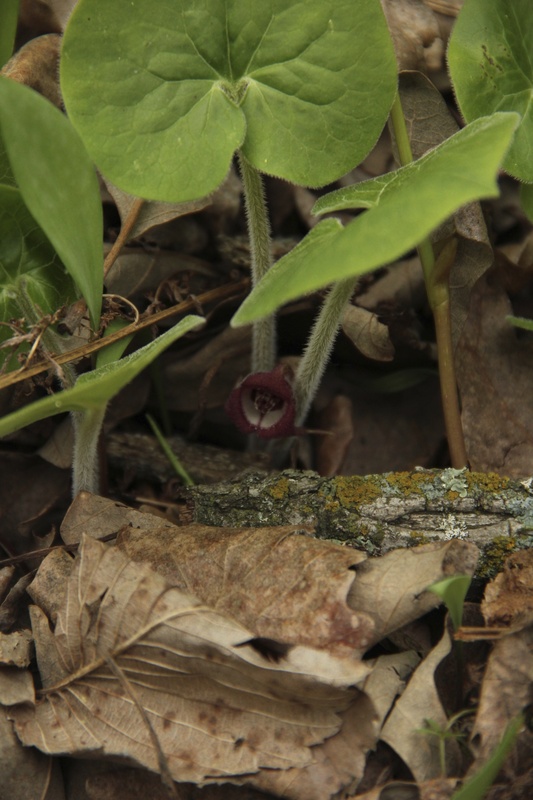 The maroon blossom of Canadian wild ginger (Asarum canadense) lies hidden beneath its leaves. 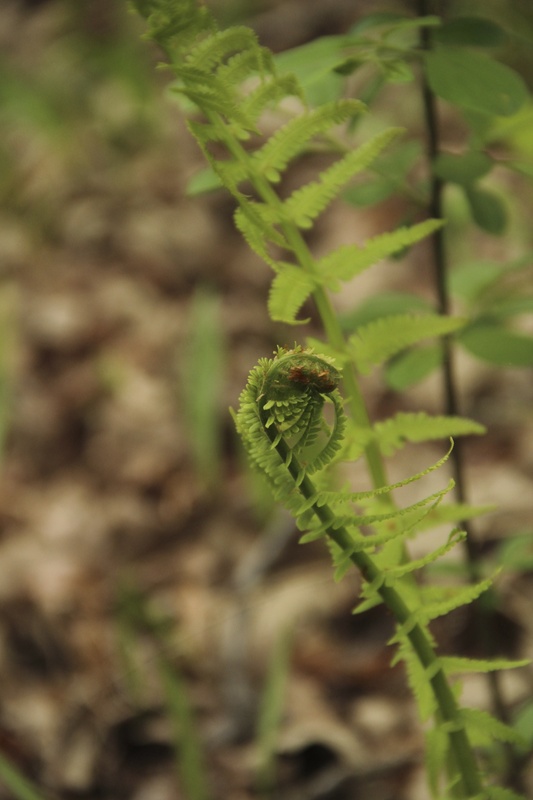 Furled fiddleheads of an ostrich fern (Matteuccia struthiopteris) begin to open. 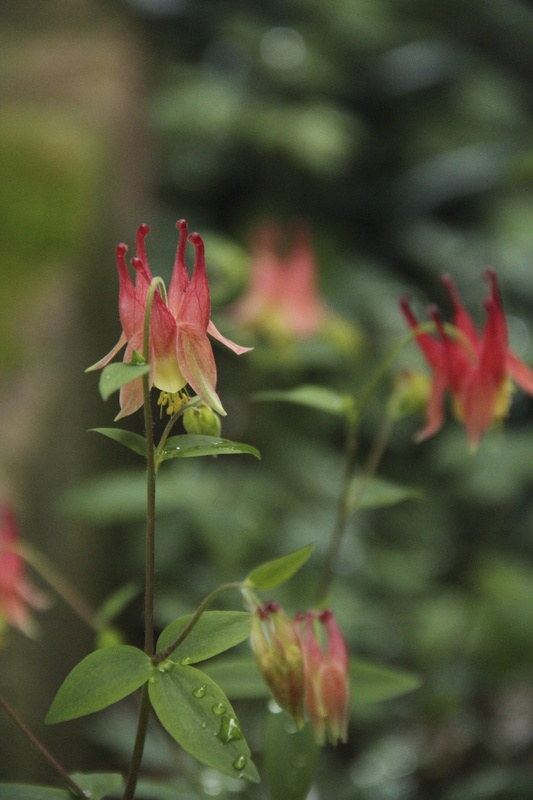 Canada columbine (Aquilegia canadensis) attracts hummingbirds in the spring. 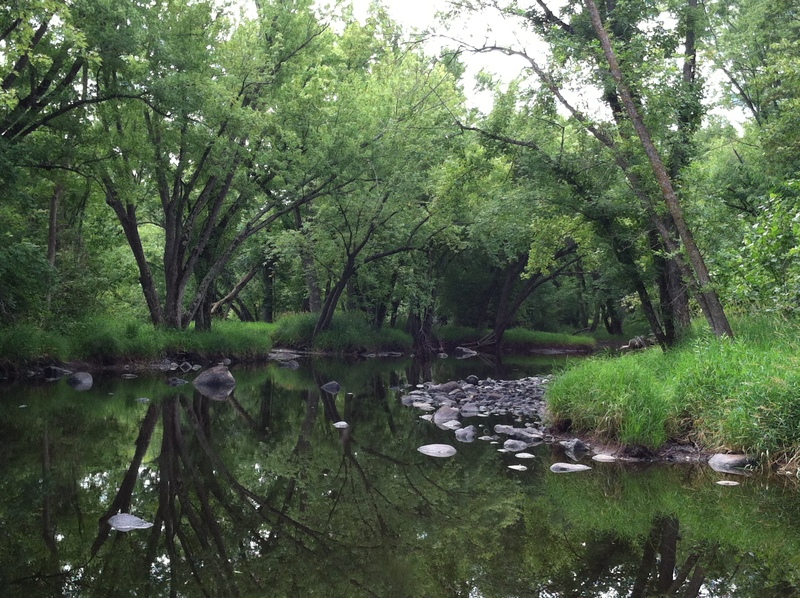 The Snake River in east central Minnesota flows high and fast through spring and early summer. 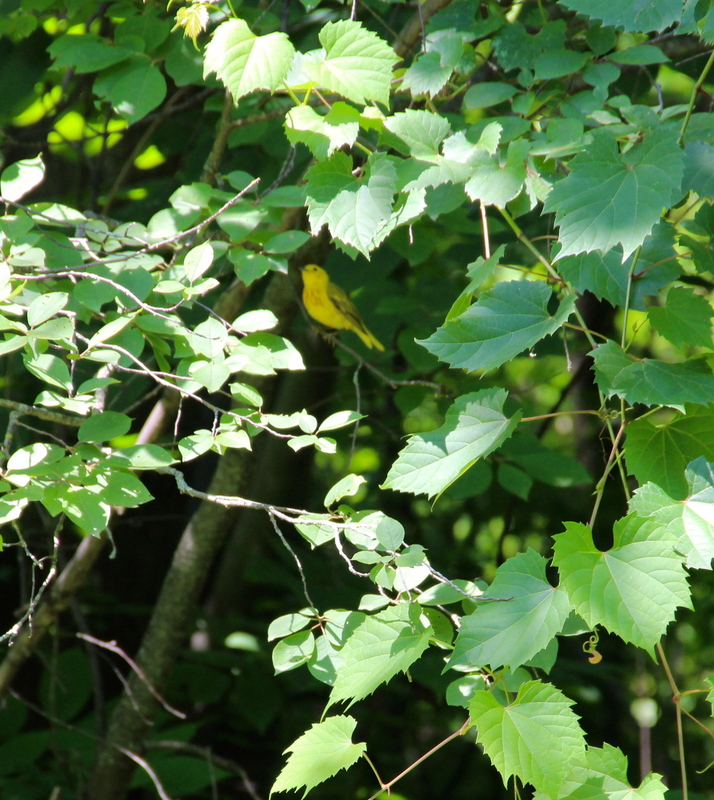 Yellow warblers (Dendroica petechia) are one of the most visible and vocal of our warbler species. 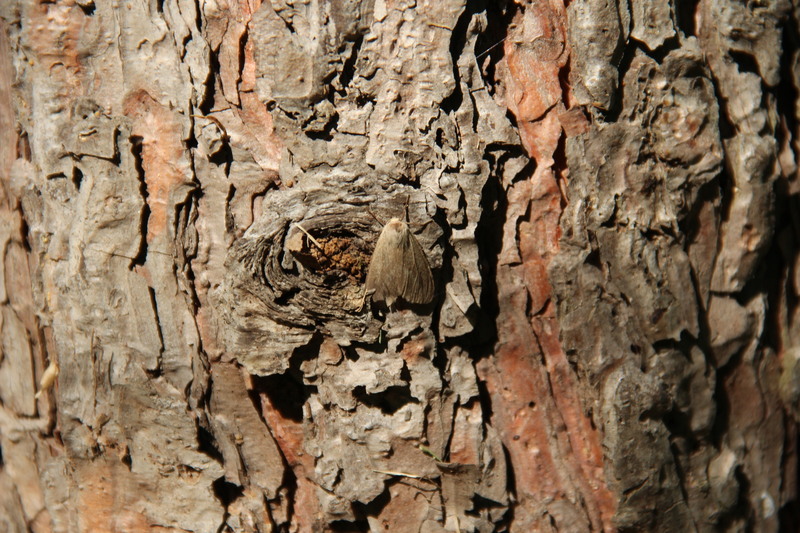 A woodland moth rests on the trunk of a red pine (Pinus resinosa), Minnesota’s state tree. 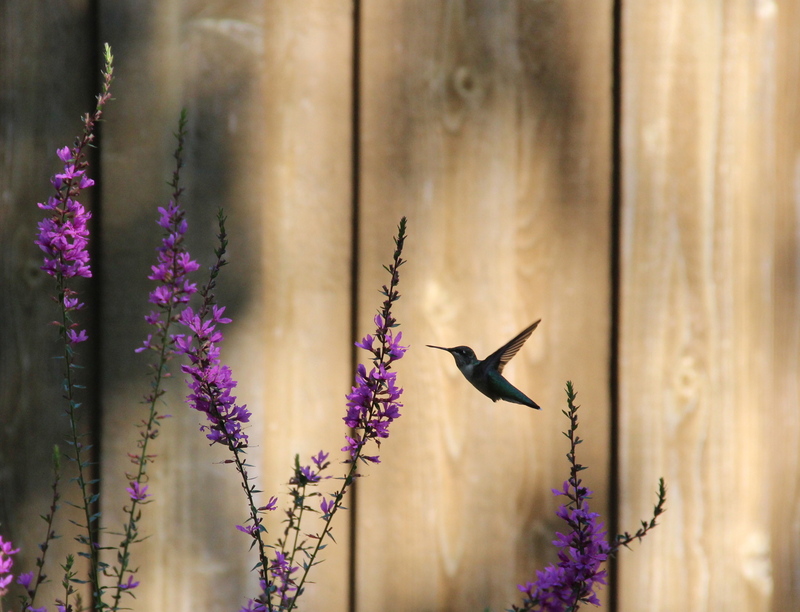 Ruby-throated hummingbirds (Archilochus colubris) are abundant throughout the summer and early autumn. 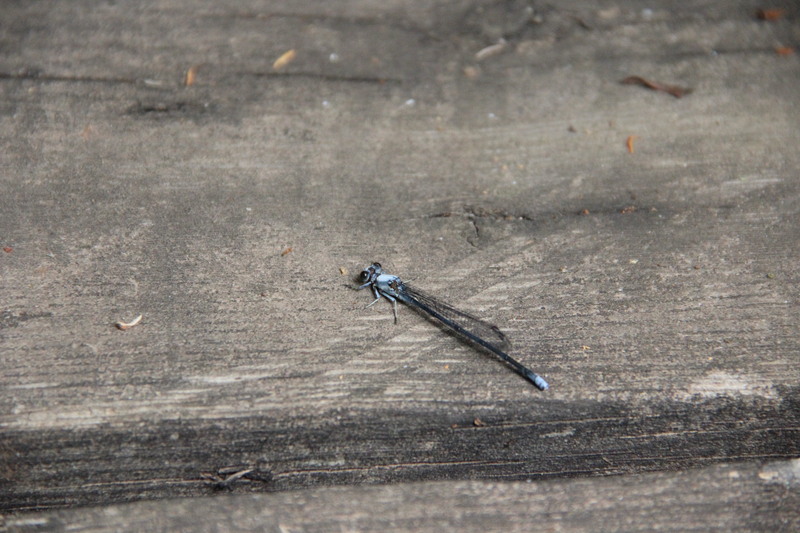 Bluets (Enallagma) are plentiful along the river in late summer. 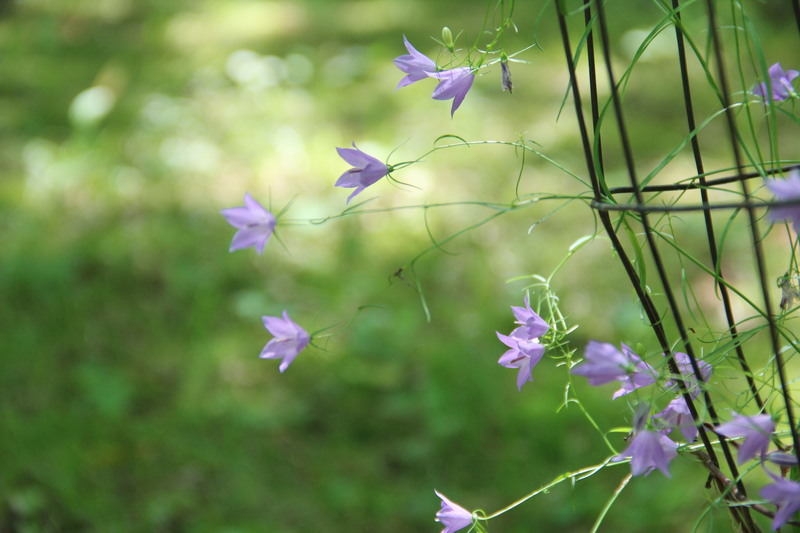 Delicate native harebells (Campanula rotundifolia) are loved by bumblebees. The Snake River’s water level drops in late summer revealing basalt river rock. 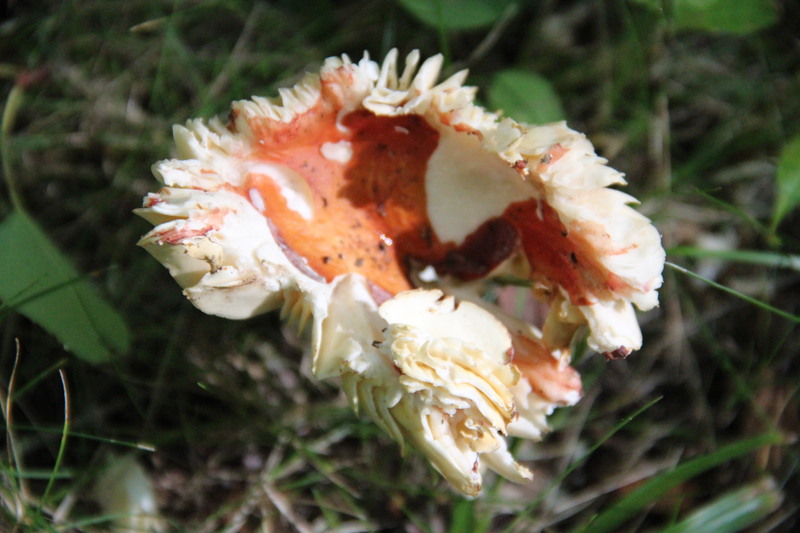 Many different kinds of colorful fungi appear in autumn. 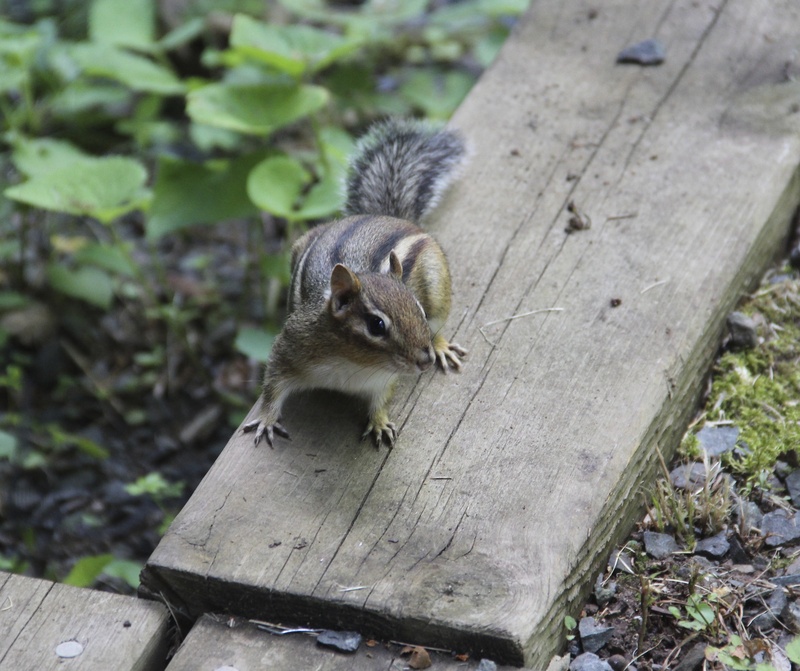 Eastern chipmunks (Tamias striatus) gather nuts, seeds and fruit for the winter. 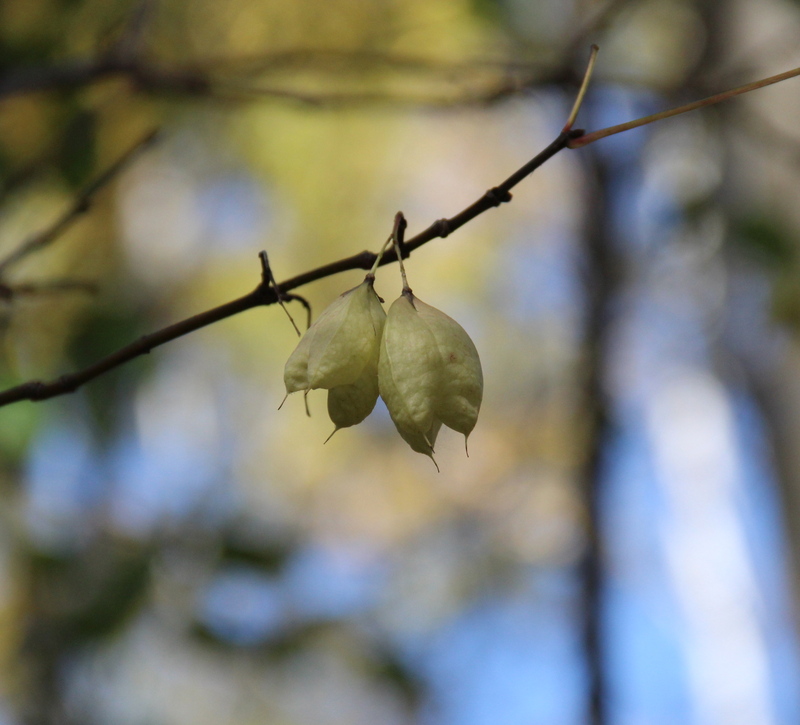 Native bladdernut seeds (Staphylea trifolia) ripen in papery husks. 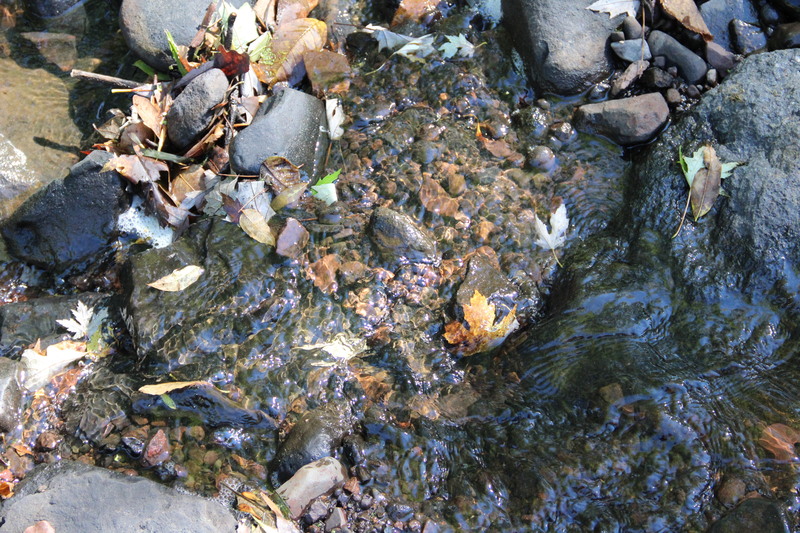 Falling leaves settle among pebbles and add color to the riverbed. 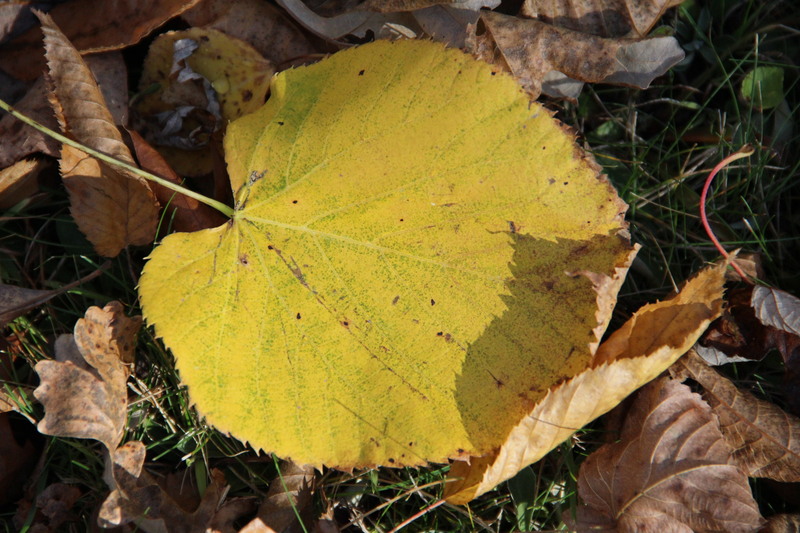 A basswood leaf (Tilia americana) glows in the late afternoon sun. 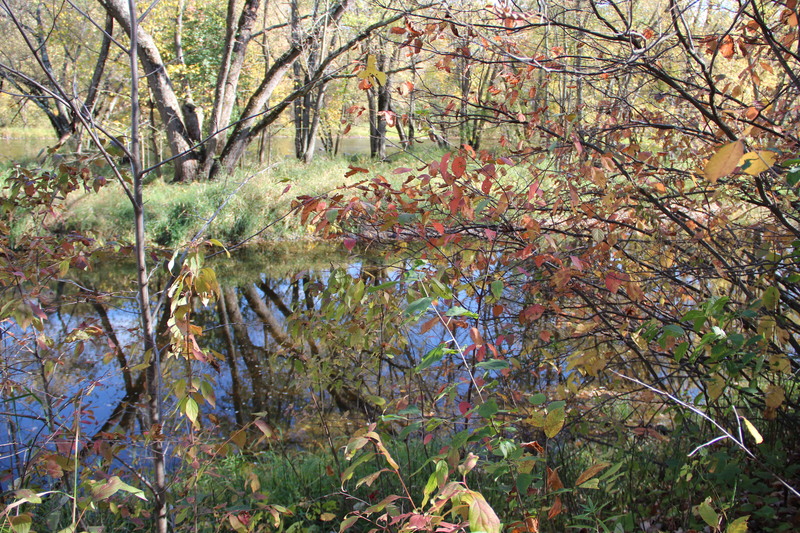 In mid-October, soft green, beige, maroon and brown color the riverbank. 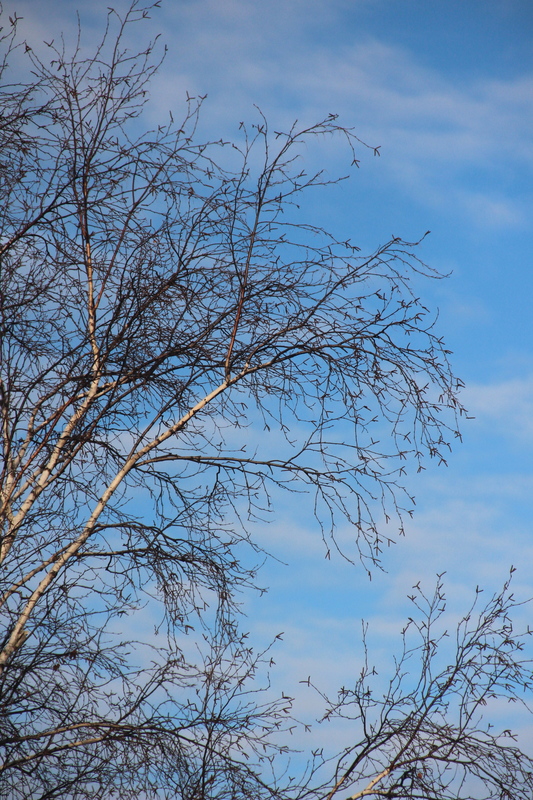 Male catkins on a paper birch (Betula papyrifera) stand starkly against an early-winter sky.